It’s not always necessary to brew up an entire pot for a hot drink in the morning. No matter what your drink of choice, sometimes it’s better to just mix up one quick cup. If I didn’t love my tea kettle so much I’d probably pick one of these up myself. Since on most occasions I only drink one cup at a time anyway. It would also save on water if you fill up the pot only to dump the excess down the drain. For those that don’t function well in the morning, they might find it simpler to run this. Although I don’t really see the difference between using this or just heating up a cup in the microwave. 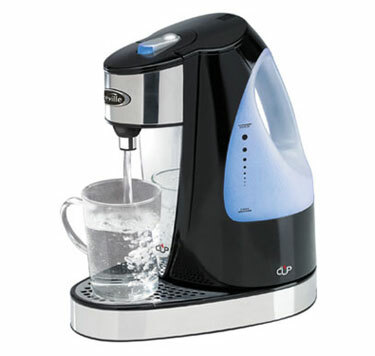 If you prefer appliances to do things for you, then this will whip you up a quick cup of hot water. It’d be great for tea, or drinks that require mixes such as hot chocolate. You can purchase it for £48.69 on Amazon.